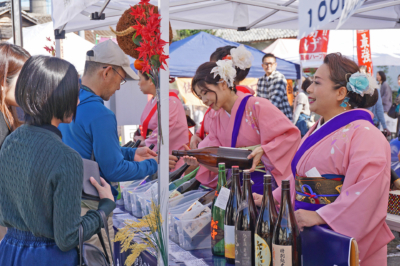 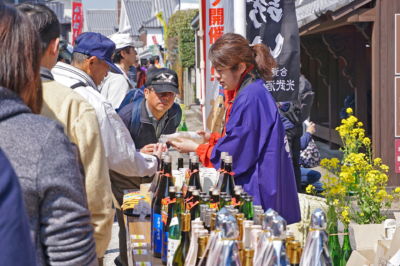 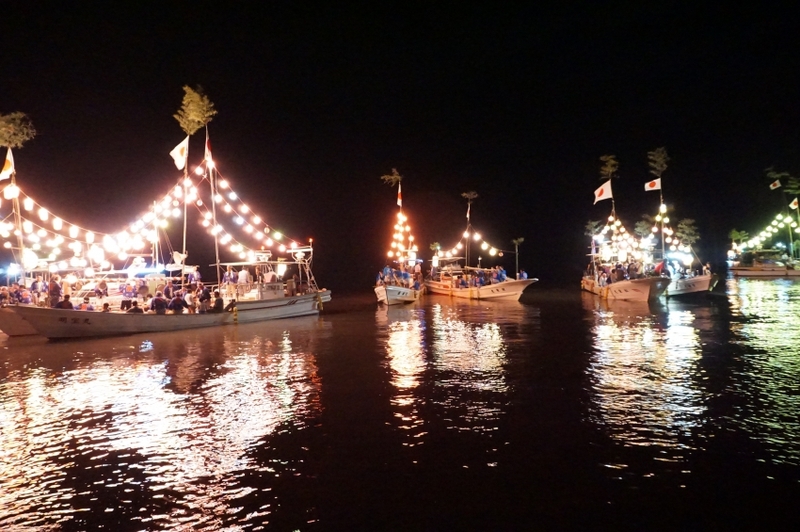 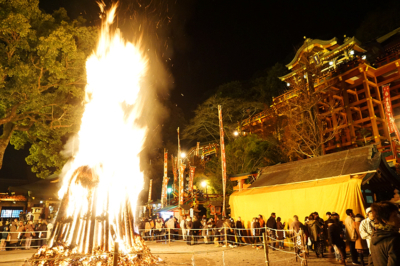 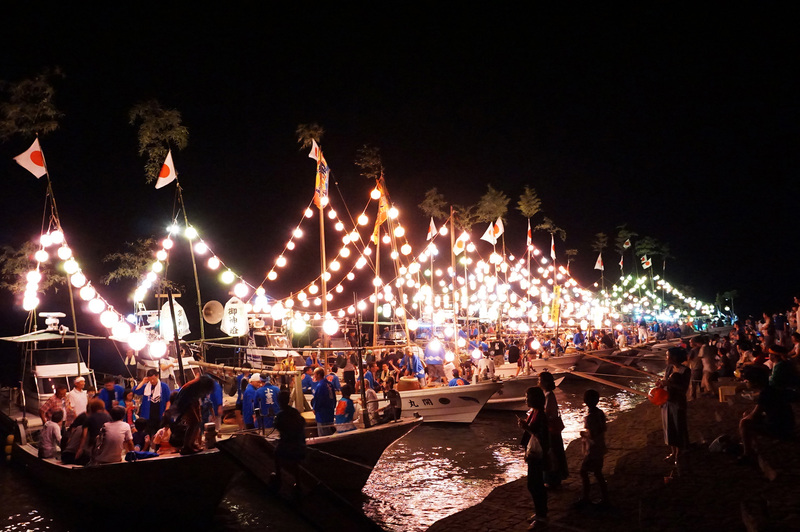 It is a festival where many ships leave for “Okinoshima island” in the Ariake Sea to pray for huge harvest and voyage safety. 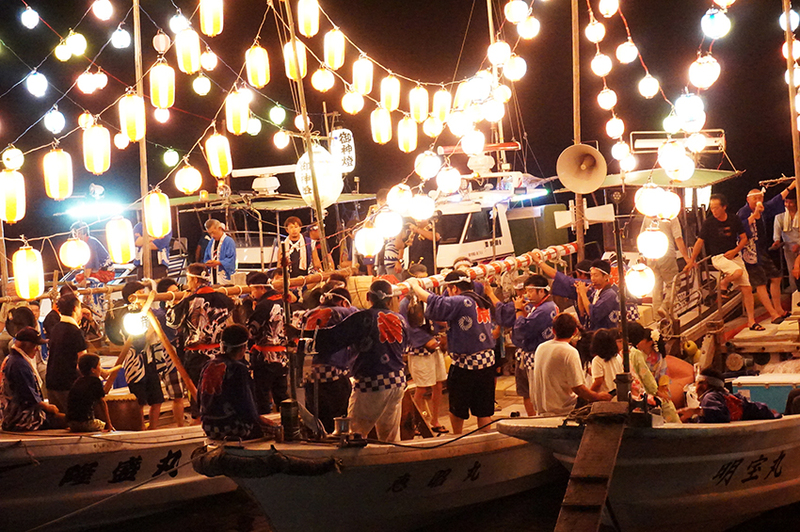 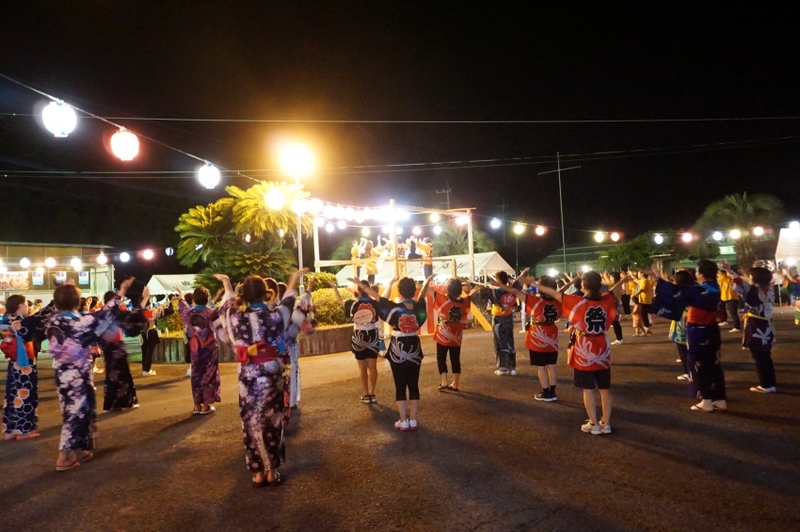 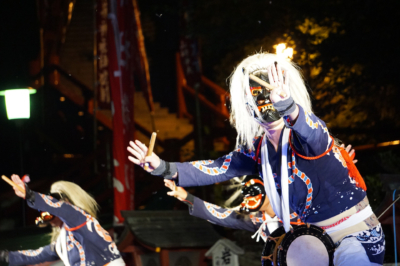 In Kashima City, ships are gathered at the Michi-no-Eki Kashima and sailors perform the drum and flute before departing for Okinoshima island. 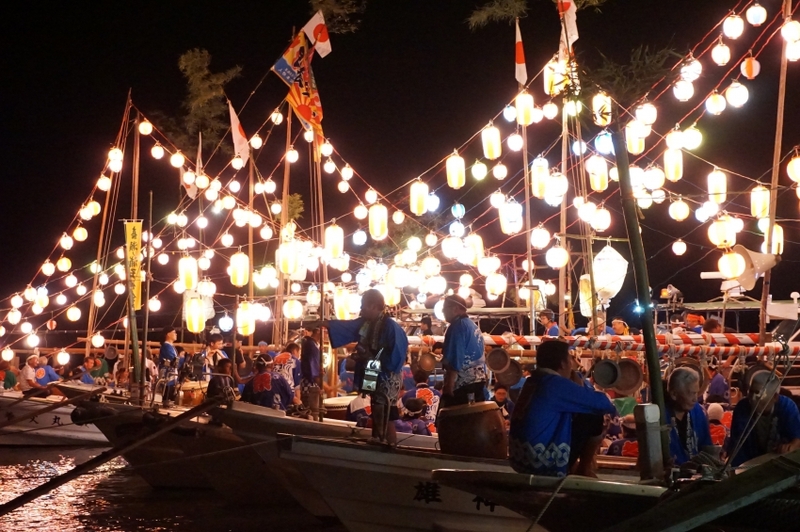 The lights of Japanese lanterns fantastically shine in the night.